Unless the answer to at least one of these questions is yes then you don’t need to dress as if you’re off for a weekend at Downton Abbey. Tweed jackets are traditionally made from wonderful thick and slightly abrasive fabric built to keep out the cold and the rain. For the man about town a lighter, more refined cloth is a better choice. The luxurious alternative is a lightweight tweed with a bit of cashmere woven into it, because this means the fabric will feel soft, and the jacket won’t be too hot. Tweed’s great appeal is that it comes in such a variety of colours and patterns, from the very bold (which are probably best kept for days at the races) to the very muted. 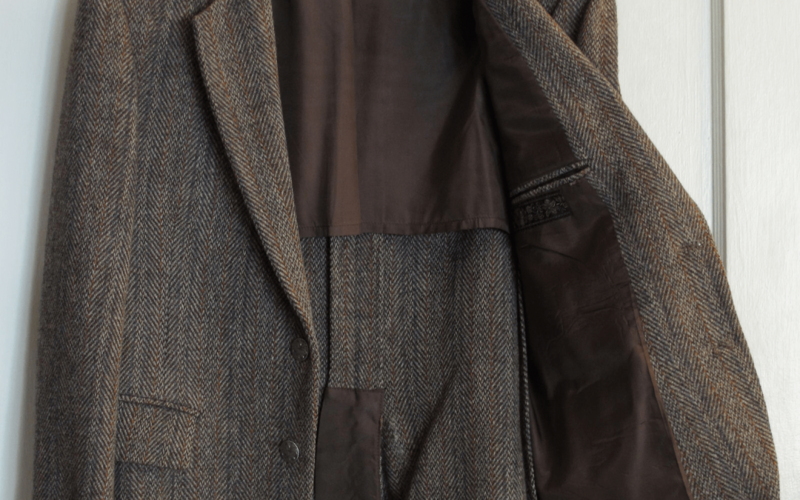 A useful approach for modern men is to go for a stealthy tweed, which retains the fabric’s easy informality, without speaking too loudly of life in the shires. Blue tweeds are a great place to start, perhaps in herringbone, or a speckled Donegal. Start with a two button, singled breasted jacket to wear like a blazer, and think about having it cut so that you can wear a Shetland sweater underneath it, which means that it’ll act as both a jacket and a coat in all but the coldest weather. Worn regularly with faded jeans, or slim cords, the jacket should quickly start to feel like the most comfortable thing you own.